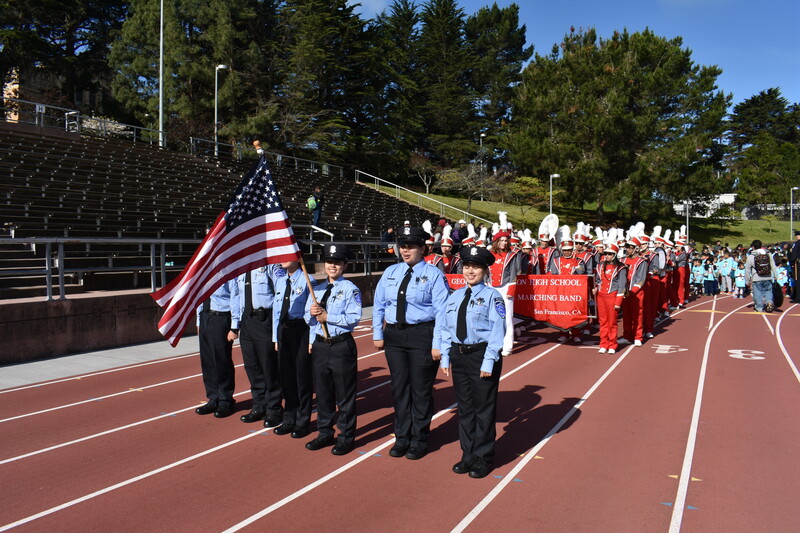 The event is hosted at Kezar Stadium in partnership with SFPD and Park and Recreations and is free to all participants. 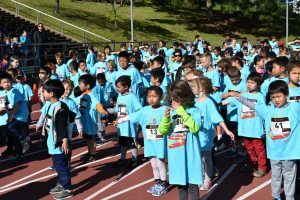 The Kids’ Games are a friendly track meet at which youth, ranging from 5-14 years, compete in 25 and 50 meter dashes as well as in a long jump activity. All participants receive an award and are treated to a light and healthy lunch. 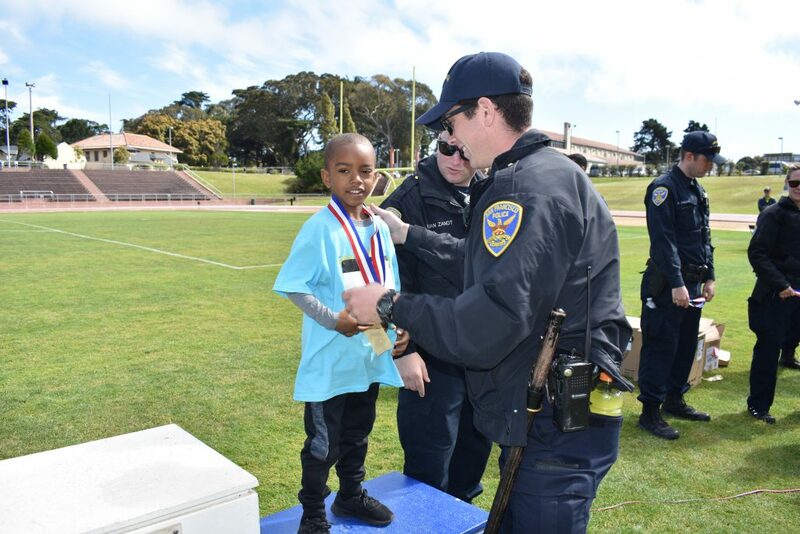 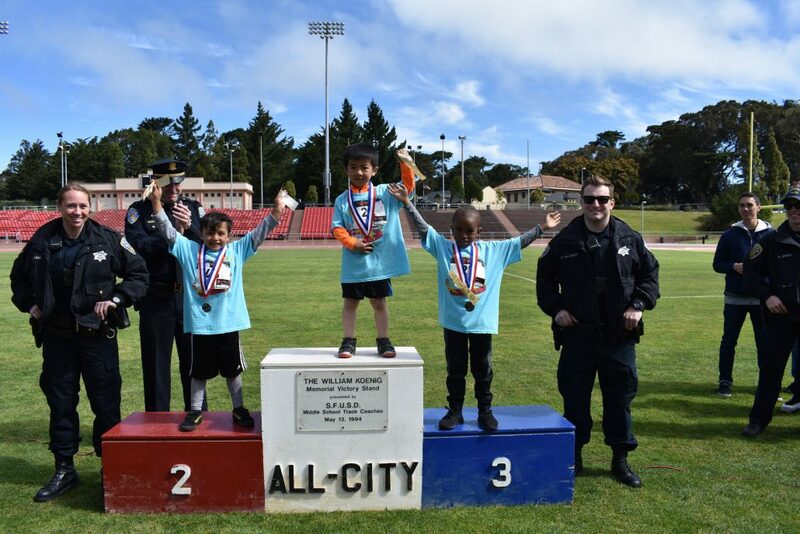 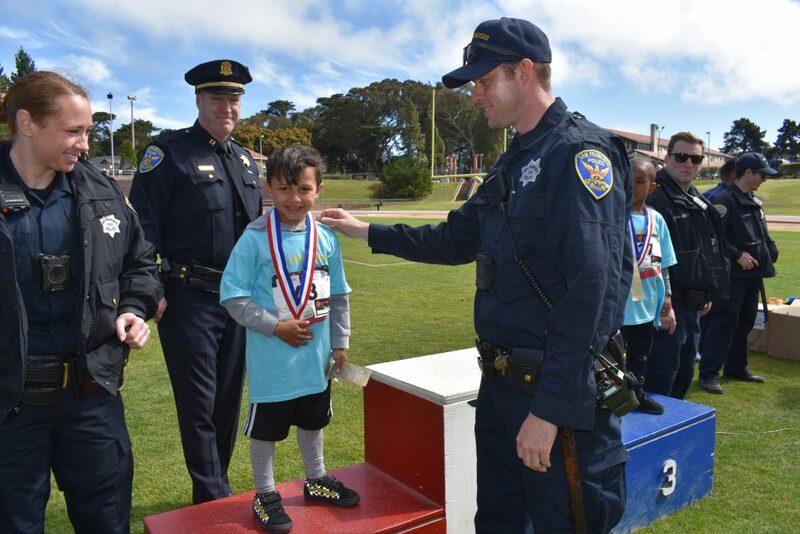 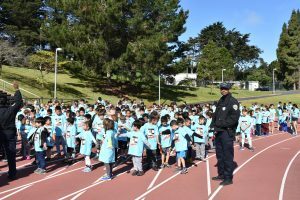 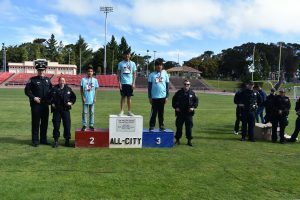 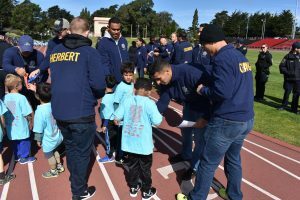 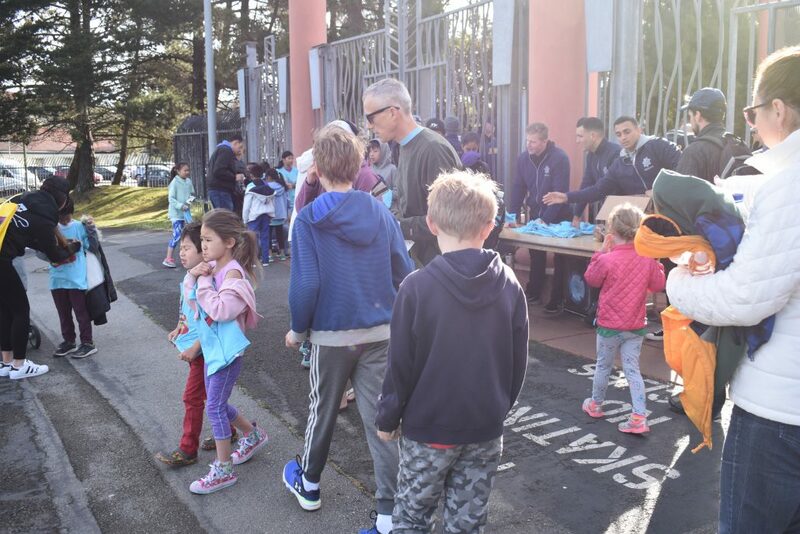 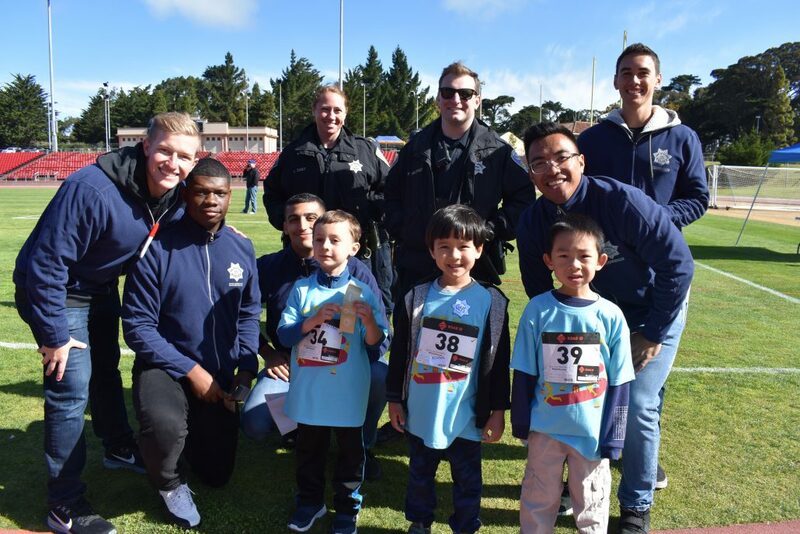 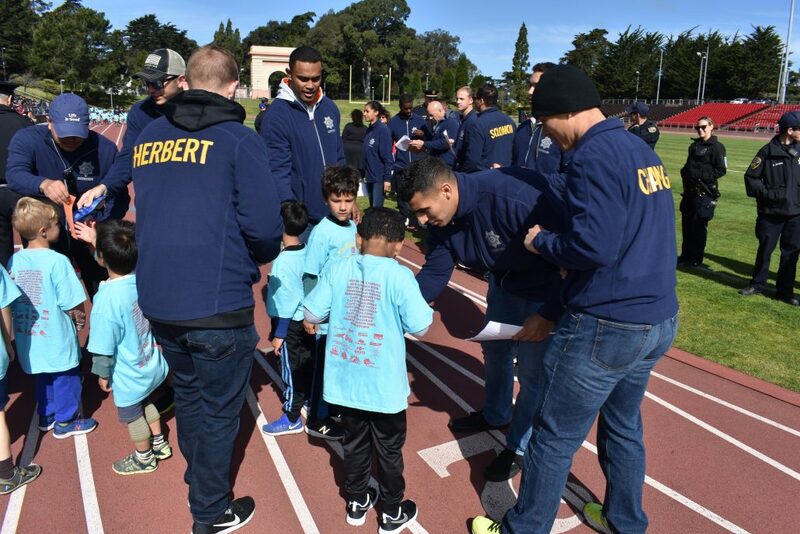 The event not only brings together San Francisco Police Officers and the community they serve but also introduces San Francisco youth to healthy activities and lifestyles in a supportive yet competitive environment. 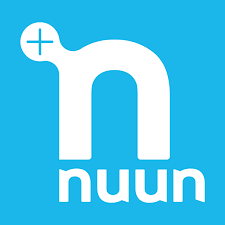 In a time where childhood obesity, diabetes, and heart disease are at its peak and athletic activity fees for inter-city youth are increasing or simply out of financial reach, SFPAL wanted to create an athletic activity that is all-inclusive and able to introduce a healthy lifestyle to the youth of San Francisco. Last year’s event brought out over 300 youth, police officers, spectators, and vendors, whom all enjoyed a fun filled day that not only created lasting memories for the youth but also brought about positive interactions between police officers and the youth. The event also helps to plant the seed for healthy future lifestyles. The following video clip beautifully depicts what the Kids’ Games are all about.